Can you selectively restore files, use cloud services, and an external drive? Yes, you can! Their new computer has a 128GB drive while the old one was 512GB. They have a Time Capsule backup and wonder if they can make choices while restoring the backup. This is not an uncommon collection of questions, so I’ll do my best to knock them all out. First, you can use Migration Assistant instead of OS X Recovery to restore just Applications, certain user (Home) directories, and other files. That may be a good place to start with a fresh computer. Second, Apple Music doesn’t include iTunes Match, the service that syncs your current music library, including uploading files that don’t match tunes in Apple’s music store. Kirk McElhearn ran down the way those two subscription services interact last July. 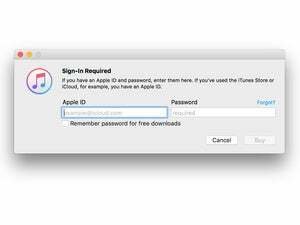 There is an ongoing fee ($25 per year) for iTunes Match, but less than the $10 a month for Apple Music if you don’t want or need that. Finally, you can store iTunes libraries media (music, videos, and locally downloaded iOS apps) and your Photos library on an external drive, or even a network-attached server.